El Gato Chimney is an Italian artist born in 1981, in Milan, a metropolis in Italy’s northern Lombardy region. He began his career as a self-taught artist, when he became interested in street art scene of his hometown. Street art is, along with surrealism and steampunk culture, still his source of inspiration, although his new artworks have more resemblance to the works of Old Masters such as Bosch. Over the years, the artist has honed his technical skills and acquired new knowledge, which resulted in his art becoming more studio-based and focused on emotions and inner visions. The work of the Italian artist belong to contemporary art, but his curiosity lies in the artistic movements that expanded in the 9th and 10th centuries. He is particularly fond of ancient art, supernatural, alchemy, spiritualism, folk tradition and art of indigenous peoples. His universe is dual and deceptive. 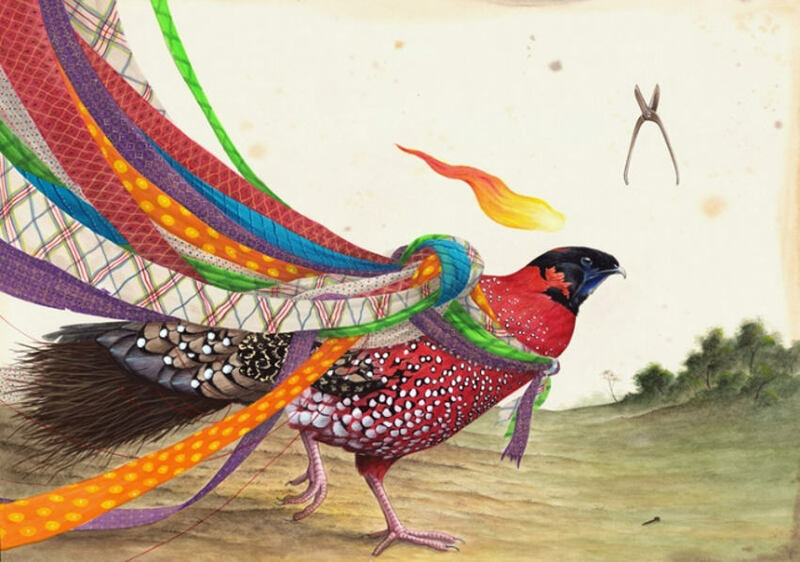 He shows the vices and virtues of the modern world by painting made-up and real animals, wearing multicolored clothes borrowed from European folklore and Oceanian tribes, and hiding behind masks. 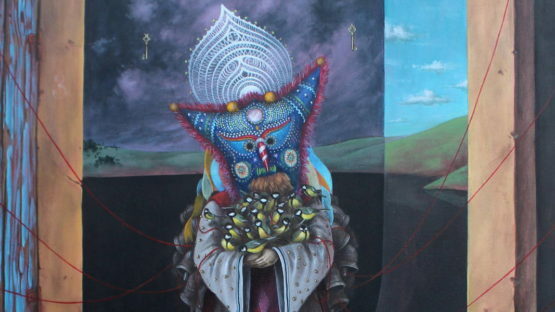 El Gato Chimney has exhibited his magical works in solo exhibitions both locally and internationally, in the United States, Spain and Germany. 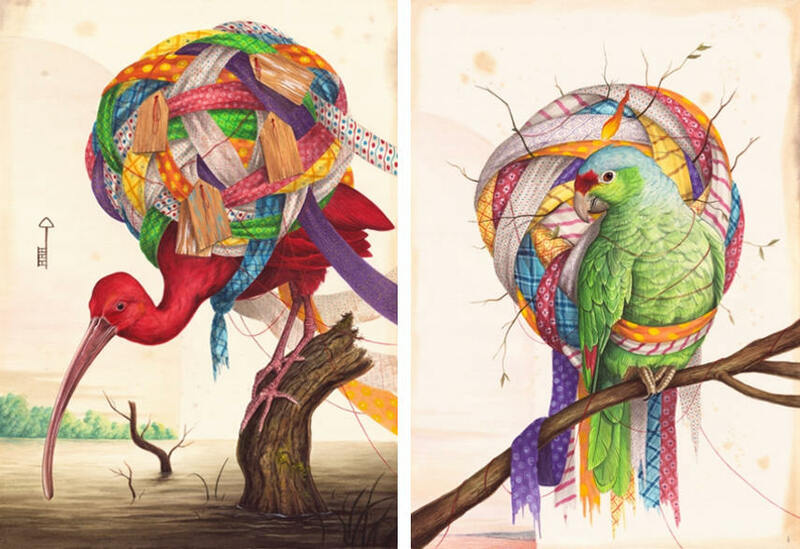 One of his latest solo shows was De Rerum Natura held at Stephen Romano Gallery in March 2015. He has also participated in numerous group shows and art fairs, both in his home country and abroad including The Wild Wood at James Freeman Gallery, London, UK and HEY! at Galerie Arts Factory in Paris, France. His work has been featured in many books and magazines. El Gato Chimney lives and works in Milan.